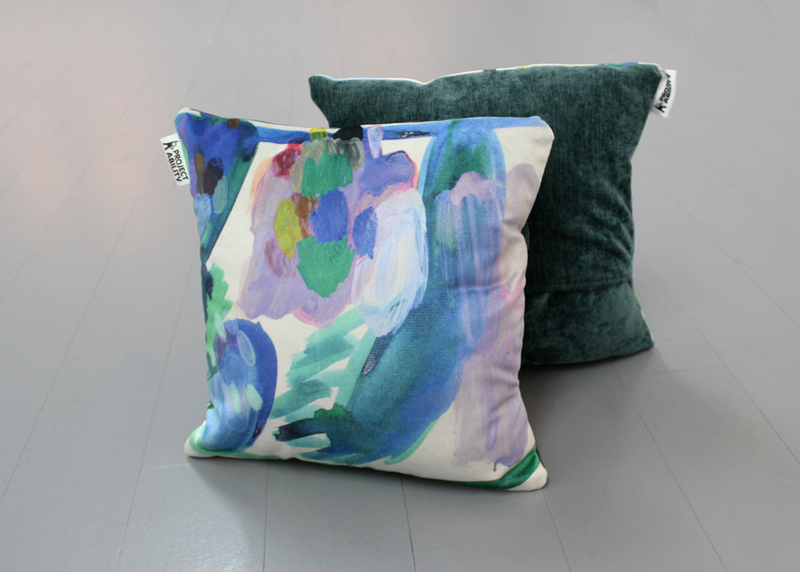 Our Shop Item of the Week is this plush velvet cushion with a digital print of one of Dominic Hemphill-Whyte’s paintings. We have three of these cushions left and they have proven very popular! They are super soft and sold with the cushion filling, unless otherwise requested. The back of the cushion is a dark forest green. If you’re interested you can find them available for purchase in our gallery shop at Trongate 103 and also our online shop, for £25 each.